The National Institute of Advanced Studies has been pursuing multidisciplinary research and training to build leadership in India. In pursuit of this objective, the Institute works towards integrating scholarship in the natural and social sciences with technology and the arts. It then disseminates the results of this research through publications, programmes and, more importantly, through dialogues with upcoming decision-makers of the India of today. The Annual Programme for Senior Executives is the flagship programme of the Institute. The programme, in the past, has attracted senior executives, like Shri B Muthuraman, who have become leading lights in their respective fields. The uniqueness of this Programme is that it is designed as a series of interactive dialogues with inspiring thinkers across the country. The focus of these interactions is on the complex ways in which science, society, technology, economy and culture evolve and throw up fresh leadership challenges. This, in the participants own words, has helped them develop fresh perspectives in their own specialised fields. 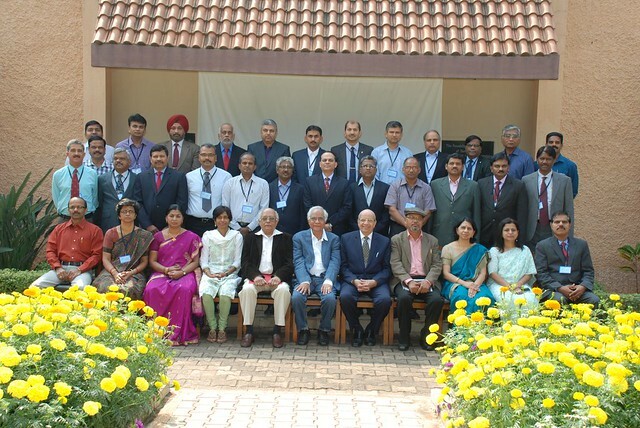 The 30th Annual Programme for Senior Executives was held from January 18 to 23, 2016. Inspired by Mahatma Gandhi's words on change and leadership, the theme for this year's Programme was “To Lead a Change". The participants of the 30th Programme included Senior Executives from various government organisations as well as from private industry. The programme included lectures and discussions from eminent speakers on a gamut of subjects, ranging from management, medicine, law and order, music, cinema, psychology, and society. Through their outlooks on change and governance, speakers at the programme explored issues such as: "What makes a leader? ", "How does a leader initiate and respond to change? ", and "Do different disciplines present different challenges for leadership?" The programme was inaugurated by Dr R Chidambaram, the Principal Scientific Adviser to the Government of India. This insightful talk set the tone for the Programme. Leading lights such as Dr K H Sancheti, Justice Prabha Sridevan, Shri B Muthuraman, and Shri Ricky Kej were among the speakers at the Programme. Some of the other highlights of the programme were the lecture by Shri D R Kaarthikeyan, wherein he shared the leadership challenges he faced during his investigation of the Rajiv Gandhi assassination case, Prof Vijayalakshmi Ravindranath's talk on building scientific institutions in India, and Prof Manas K Mandal"s exploration of “The Mind of Leader". The valedictory address was by Shri Kris Gopalakrishnan, co-founder Infosys. The interaction with Shri Gopalkrishnan was cherished by all the participants. The lectures in the programme were aptly summed by one participant as 'talks that inspire and invigorate the mind'. For the benefit of those who could not attend, talks of nine prominent personalities that include Dr R Chidambaram, Prof T N Srinivasan and Shri Kris Gopalakrishnan will soon be uploaded on the NIAS website. This programme emphasizes the unique stamp of NIAS which is its multi-disciplinarity. We at NIAS believe that given today's complex problems, a multi-disciplinary perspective is the only way to promote a meaningful discourse with the upcoming decision-makers of our country, and we keep this dialogue alive through "The Annual Programme for Senior Executives".